Our core products are still the casual, minimalistic and sporty sweatshirts, hoodies and tees in GOTS organic cotton or Tencel. In the Amov SS19 collection, you will also find 100% linen garments, both jersey, and woven fabrics. Linen is often stated as one of the more sustainable natural fabrics, as it can grow in poor soil, and do not need pesticides or fertilizers to grow and require little water. Our woven linen shirts comes in a crispy white with a black statement embroidery or in an allover printed blue version. Linen is an obvious choice for the summer wardrobe. The allover print, that sum up all the statements from the collection, comes also in grey melange sweat styles. And for women as a printed legging in recycled polyester as well. Our new yellow and pink Cap badge with the message, ”Make fashion fair again”, is used throughout the whole collection, both on jerseys, sweats and woven, as a little recognizable and teasing symbol. 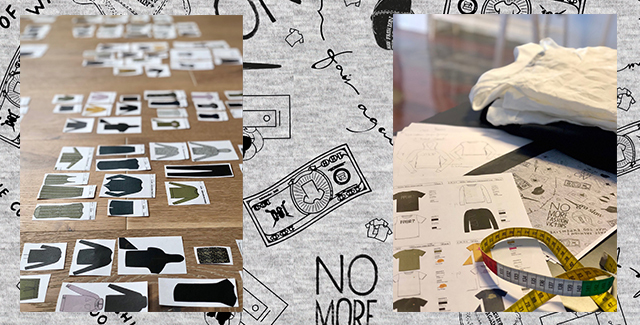 We believe that the more noisy statement tees and allover printed sweat styles will draw much attention and become some of the key items of the collection. Besides them we also trust in our ”old heroes”, some of the bestseller styles from our earlier collections, now in new colours or fabrics. Talking about the colours, even though there are more new colours this season, the colour range is as always kept in a muted scale. We want our garment to become ”your favourite item”, that lasts season after season, therefore we also use colours that can last longer than just one season. The new colours are Moss Green – a dusty light olive, Golden – a warm yellow and Bean Brown – a deep chocolate brown. These are mixed with a well-known base of black, white, indigo and grey melange. Pink and pale rose are mainly used as refreshing eye-catching details in prints and embroideries. If you would like to book an appointment, you can contact Marc Querol ( marc@doublehagency.com) or via phone at +44 (0) 7539 228 041. 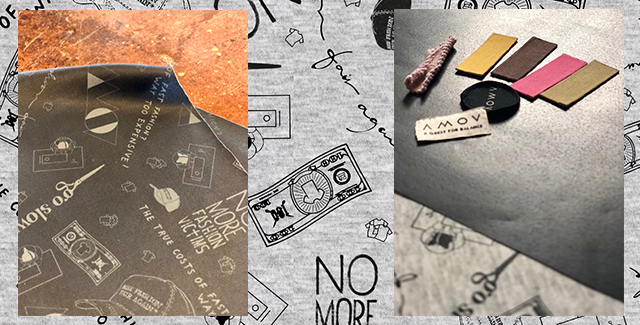 Go Ethical with Amov SS19. S4 Jackets SS19, PURE UNDERSTATEMENT AT THE HIGHEST LEVEL.